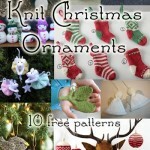 Last year I put together a roundup of 10 crochet Christmas ornaments, as well as a roundup of 10 knit ornaments. Well it’s a new year and there are dozens of new ornament patterns that deserve to be in the spotlight, as well as a few I missed the first time around. 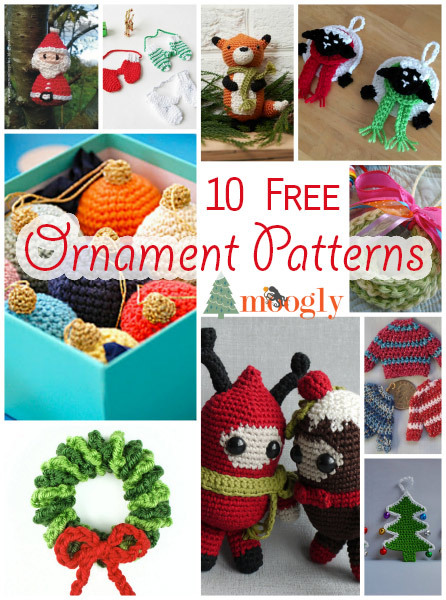 So here are 10 *more* free crochet ornaments for you to add to your tree! 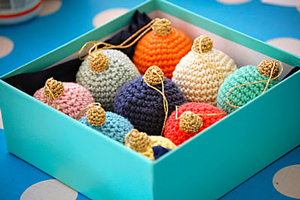 Christmas Bauble by Kate, on Greedy for Colour: Simple, classic, perfect for every style! Christmas Mittens Ornament by Little things Blogged, for Black Sheep Wools: Cute vintage-look pattern for the modern crocheter! 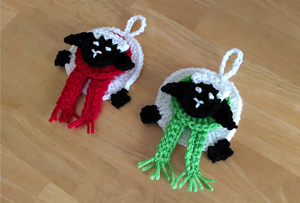 Festive Sheep Ornament by Jennifer Dickerson, on Stitch and Unwind: Love these little sheepies! 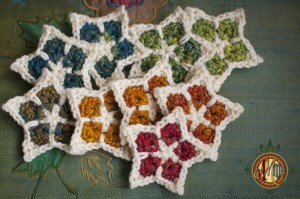 Perfect for fiber loving friends! Fox Ornament by Sahrit Freud-Weinstein, on Red Heart North America: Aha! 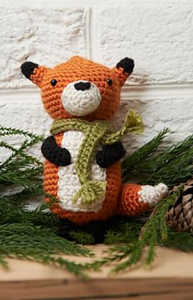 The fox says Happy Holidays! 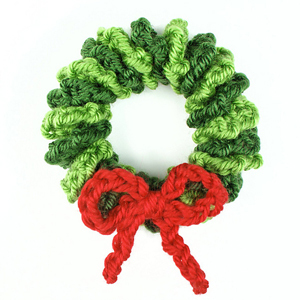 Chained Wreath Ornament by Sara Freisberg, on tangled happy: This is the perfect ornament to get the kids crocheting too! 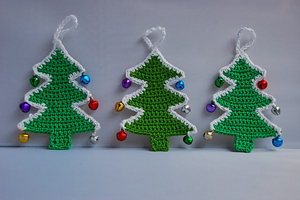 Crochet Christmas Trees by Am Jay Lou, on amjaylou.blogspot.co.uk: Written in UK terms, but with a step-by-step photo tutorial that’s universal! 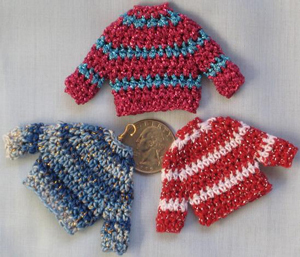 Teeny Tiny Sweater Decoration by Mary Jane Wood, on Crochet By the Bay: These thread sweaters are great, but how fun would it be to make some ugly Christmas sweater ornaments? 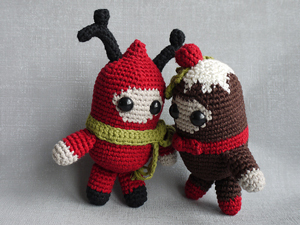 Christmas spirits by Cherry Berry Crochet, a Ravelry download: These are so unique and interesting! 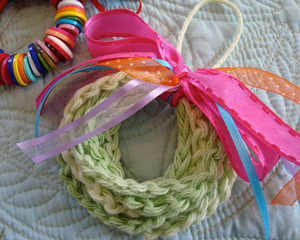 Mini Wreath Ornament by June Gilbank, on PlanetJune: I love the ingenious way these come together! 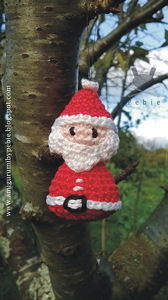 Little Santa Claus by Pebie Crochet, on Funny Amigurumi by Pebie: Cute as can be, and available in both English and Español! BONUS! 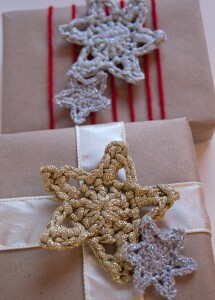 Don’t forget about the two great new crochet ornament patterns you’ll find right here on Moogly: The Glittery Crochet Stars in 2 Rounds and Star Light Star Bright by Mad Mad Me are both perfect for the holiday season! 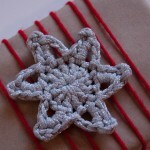 i would love any new patterns you can send me!! Hi Lorri! I don’t send out patterns, but click on the name of the pattern you like (in reddish pink) and you’ll go to the page for that pattern! 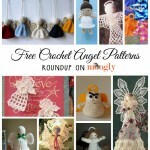 Thanks for including the Chained Wreath Ornaments in this round up Tamara! They are still a favorite at our place. I just whipped up a stack of them last week for gifting. 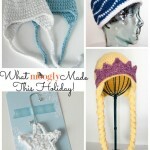 Hope your little people have fun making some of these! Thanks Sara! If they aren’t in the mood I might just do it myself! Too cute!